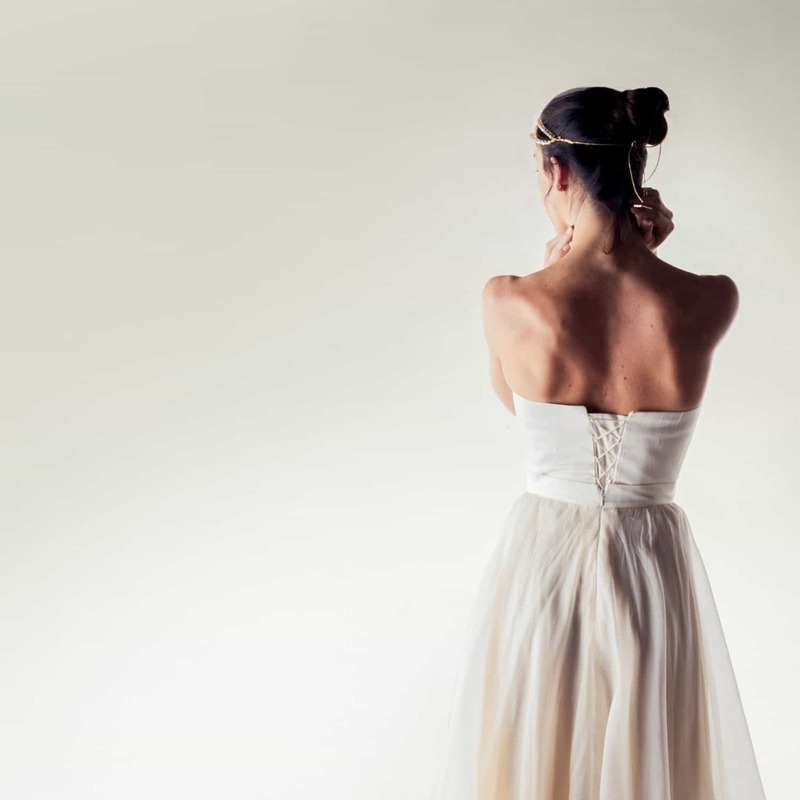 Essential but sophisticated silk bridal corset bustier, a perfect pairing with any lace blouse and bridal skirt design, as it will blend seamlessly with your choice and have the effect of a one-piece dress. The silk bustier has a sweetheart neckline and is fully boned, offering good support while still being soft and comfortable, and laces up the back with a neat little corset that guarantees a perfect, comfortable fit (also available with a zipper). It is pictured in the strapless version, but halter or spaghetti straps can be added for you. 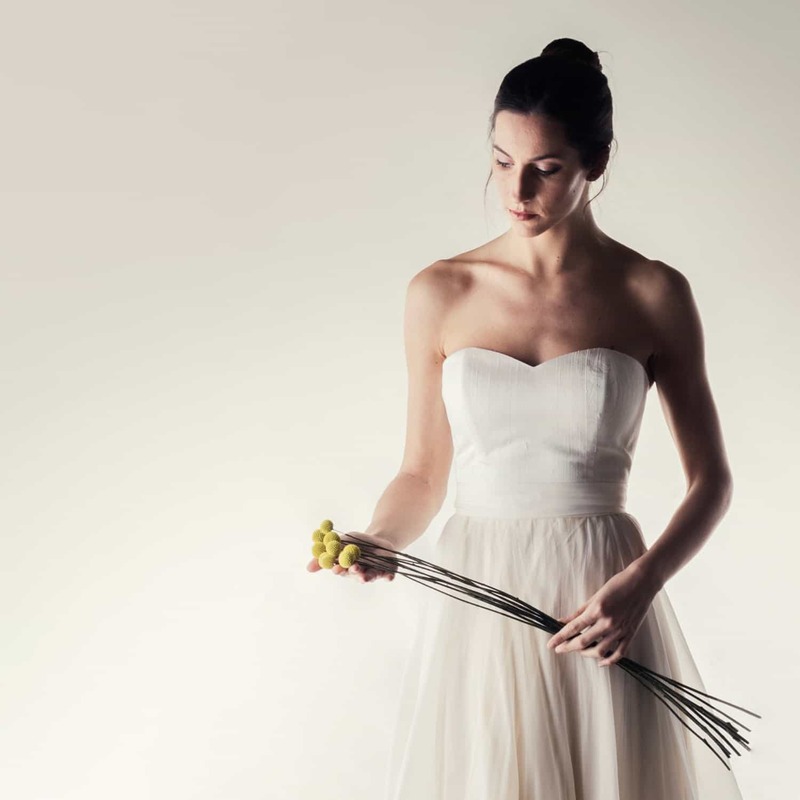 The bustier in the photos is made with a textured woven silk shantung in milky white, but other fabric options are available: the Duchesse silk we used for the Lotus dress, or the handwoven hemp we used for the Tilia dress. 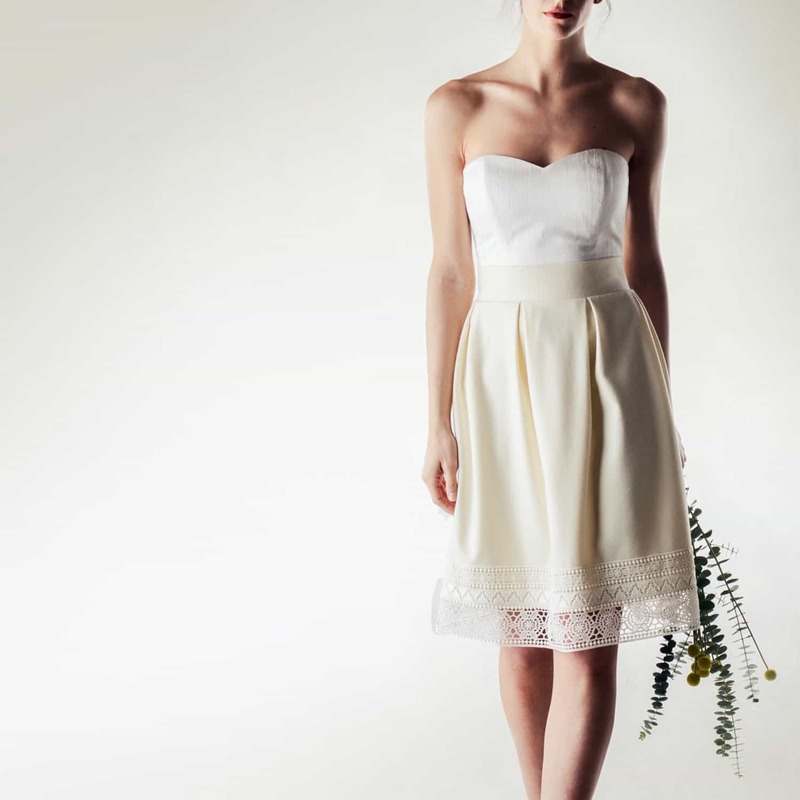 Pictured with the Campanula short wedding skirt and with the Nymphea organza skirt, it would suit the Nolana lace skirt and the Tulipa skirt beautifully as well. 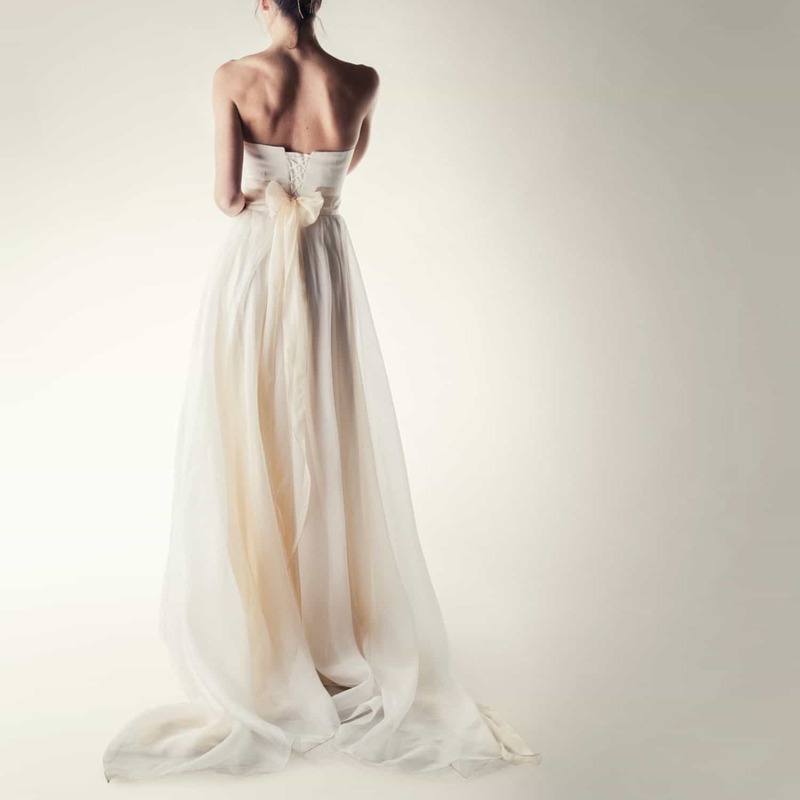 It looks lovely with a silk bridal sash like Nettle, to bring the whole outfit together. The item is entirely custom made to measure. So it will be sure to fit you perfectly and match your exact needs and requests.